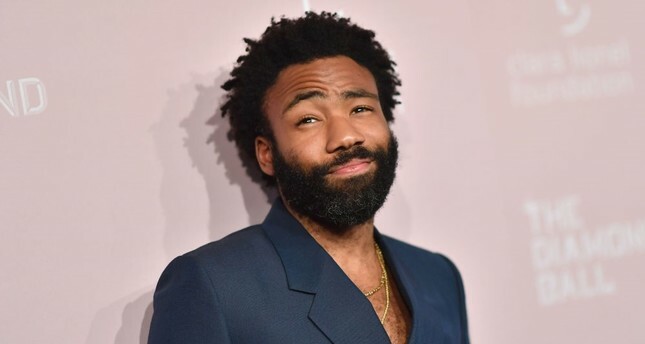 Childish Gambino took the internet by storm last spring with his painfully striking viral video, "This Is America." For many artists, the Grammy awards gala is not just music's biggest night - it is also a cultural battleground rife with criticisms that provocative black artists are systematically not getting their due. This year, that criticism could be muted - even if momentarily - when the Best Music Video prize is handed out on Sunday in Los Angeles. The five nominees in the oft-overlooked category are boundary-pushing - and they are all black. Their visual work showcases industry innovation and is rich with social commentary on Donald Trump's America. "It's the year of Trump - the need to speak out is overwhelming," Carol Vernallis, a music scholar at Stanford University in California, told AFP. "I can imagine African-American artists feeling the need to push." internet by storm last spring with his painfully striking viral video, "This Is America." The jarring clip offers a darkly pessimistic view of black life in the United States, contrasting brutal images of chaotic gun violence and references to slavery's legacy with joyful Afrobeat rhythms and a gospel choir. Music's first couple, Beyonce and Jay-Z, took over the Louvre in Paris to create a wildly popular, visually luxurious video for their hit "APES**T," which sees the Carters insert themselves into the Western art canon, creating a black cultural moment in a traditionally white space. Pop futurist Janelle Monae's "Pynk" is a psychedelic ode to self-love and queer culture, with the artist and her all-female entourage wearing voluminous, ruffled pink pants. Like Gambino, Joyner Lucas' "I'm Not Racist" offered a bleak depiction of a divided nation: its uncomfortable opening scene shows a white man wearing a "Make America Great Again" hat, a symbol of Trump's base, running down a list of racist tropes. A black, dreadlocked man rebuts: "It's hard to elevate when this country's run by whites/Judging me by my skin color and my blackness." And "Mumbo Jumbo" from 23-year-old rapper Tierra Whack creates a surrealist fantasyland that is a precursor to her larger 15-minute, 15-track "Whack World" - a visual album that borders on conceptual art. For Vernallis, music videos are "doing the most for the culture." "The image is not definitive, but it creates a distance from the music," she said. "Then you have to go back to the music and interpret - there's a dialogue." "It enriches the song and widens its world, and raises questions in wonderful ways," she added. The Grammys have been honoring top music videos since 1984, when MTV also launched its own Video Music Awards, a ceremony that today focuses more on the show's spectacle rather than who wins. Innovative performers including Michael Jackson and Madonna embraced the format in the 1980s - but its influence waned during the 2000s, as television channels that had focused on music videos turned toward reality programming.